The Los Angeles Lakers and other teams are engaged in serious trade talks with the San Antonio Spurs, all in the hopes of getting Kawhi Leonard on their roster. On Wednesday, ESPN creported that the Lakers had once again been talking to the Spurs about bringing the two-time All-Star forward to Los Angeles. While San Antonio�s preference has been to repair their relationship with Leonard, who sat out most of the 2017-18 season with a quad injury, they are apparently also willing to consider a trade if the price is right. It might be hard for many franchises to meet San Antonio�s demands. The Spurs are reportedly looking for more than other teams received for Paul George or Kyrie Irving in recent trades. While one could argue about where Leonard stands compared to those two players, the Spurs know they can demand even more because of what teams will be getting if they manage to bring in Kawhi. In particular, the Lakers believe that trading for Leonard would essentially guarantee them the ability to sign LeBron James as well. Los Angeles would likely have to put together a package of future first-round draft picks as well as some of their recent selections, potentially including Brandon Ingram, who they chose as the second overall pick in the 2016 draft. The Lakers are considering such a substantial package because it could allow them to put together another powerhouse team in the Western Conference. Leonard and James could give them the firepower to compete against the Golden State Warriors and Houston Rockets, especially if they were also able to sign Oklahoma City Thunder forward Paul George, though that is far from a foregone conclusion. But the Lakers aren�t the only team with an interest in trading for Leonard. According to a report by ESPN�s Adrian Wojnarowski, the Spurs are particularly interested in the assets that Boston could potentially trade away, though the Celtics may have doubts about how valuable Leonard is considering his quad injury. There are also questions of what Leonard might decide to do after next season, when he�ll become a free agent. Other teams that have reportedly talked to San Antonio about Leonard include the Cleveland Cavaliers, Philadelphia 76ers, and the Los Angeles Clippers. Leonard has expressed a desire to be traded to the Lakers, however, and Los Angeles seems willing to go the extra mile to get Kawhi on their roster. 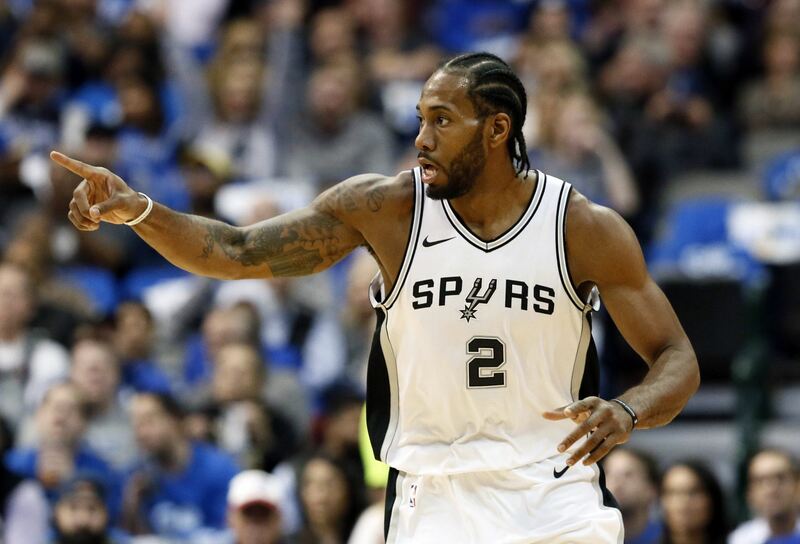 �Lakers offer for San Antonio�s Kawhi Leonard have rival teams wondering if anyone else can compete here,� tweeted Sam Amick of USA TODAY Sports. While the plethora of moving parts creates a lot of uncertainty, the odds still favor LeBron � perhaps with Leonard and George � ending up in LA. Bet Stars has made the Lakers a 4/7 favorite to sign James for next season. They give Cleveland a 3/1 shot of retaining their superstar, with the 76ers (11/2), Rockets (8/1), Celtics (11/1) and Spurs (15/1) also in the mix.